Property Location With a stay at The Bed & Breakfast on Central Park in New York, you&apos;ll be in the historical district and convenient to Conservatory Garden and Central Park. 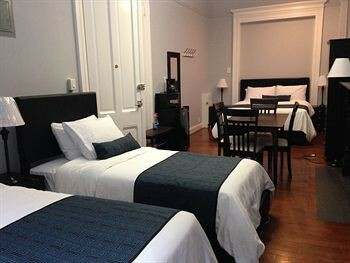 This property is within close proximity of El Museo del Barrio and Museum of the City of New York.Rooms Make yourself at home in one of the 12 individually decorated guestrooms, featuring refrigerators and flat-screen televisions. Complimentary wireless Internet access keeps you connected, and cable programming is available for your entertainment. Bathrooms feature bathtubs or showers, complimentary toiletries, and hair dryers. Conveniences include safes and desks, and housekeeping is provided daily.Dining A complimentary continental breakfast is included.Business, Other Amenities Featured amenities include express check-in, express check-out, and a 24-hour front desk.